Kids can make this Star Quilt if an adult helps them cut out the pieces. 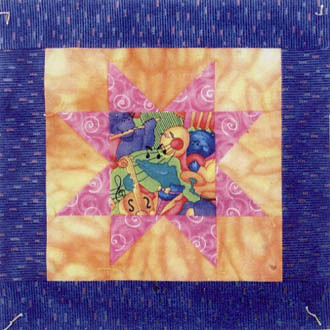 Measuring 12.75" square, this simple pieced design uses bright colors to make this a fun project. Easy to do with lots of illustrations. Price includes shipping and handling.